Al Naseem Hotel is a superb example of refined architecture amidst an oasis of palms and tropical foliage. Set on the shores of the Arabian Gulf, the hotel boasts lagoon-style pools, exceptional suites with private terraces plus a wealth of fantastic services. Children have access to an abundance of activities and entertainment, while adults can relax amidst the exotic surroundings of the Talise Spa. There’s a choice of over 50 restaurants and bars at Souk Madinat Jumeirah, water sports galore and the Wild Wadi Waterpark also thrown in the mix. Families will love visiting the turtle lagoon, which is part of Jumeirah’s exciting turtle rehabilitation project. Located on the city’s longest private beachfront, Madinat Al Naseem completes the elegant Jumeirah complex - considered to be one of the finest resorts in the world! The Madinat Jumeirah complex boasts a stunning 2km private beach, with views of the iconic Burj Al Arab Jumeirah. This is situated in front of Jumeirah Al Naseem, so is just a few minutes’ walk away. 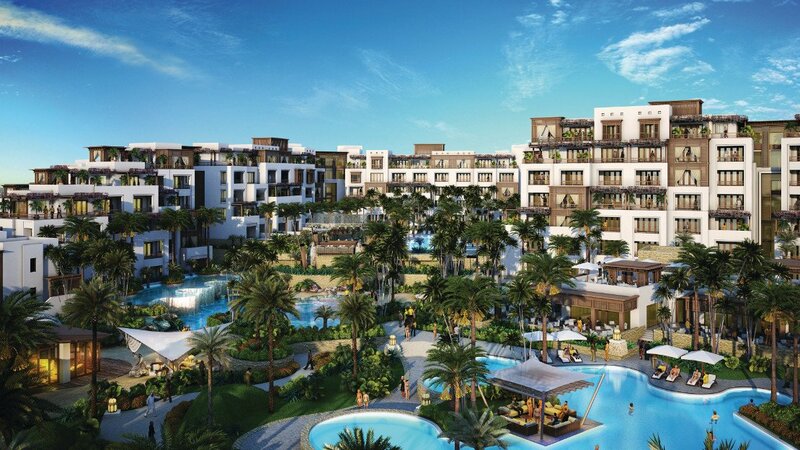 Jumeirah Al Naseem is part of the Madinat complex, which is a resort in itself. There’s an endless list of things to do, with shopping, restaurants, bars, a spa, water park and even a turtle rehabilitation centre as part of the experience. Exploring more of Dubai is also easy from here. Downtown Dubai, where you’ll find the tallest building in the world, alongside the Dubai Mall and water fountain show is approximately 15km away. Emirates Golf Club is about 8.5km away, and Dubai Marina is 10km. Dubai International Airport is approximately 26km away from Jumeirah Al Naseem. Sitting right on the beachfront of Madinat’s private beach, this restaurant offers resort guests and locals authentic Greek food and spectacular views of the Burj Al Arab. Open for lunch and dinner, providing an authentic Lebanese experience. Details may be subject to change. You will be provided with full details regarding your choice of board basis on arrival at the hotel. Guests staying in selected room types can enjoy Club Executive Lounge and Premium Leisure Club access, whilst the Club Executive Lounge is reserved for guests above 18 years old, the Premium Leisure Club is a family orientated concept with a lounge, exclusive check-in/reception and a spacious outdoor seating area.